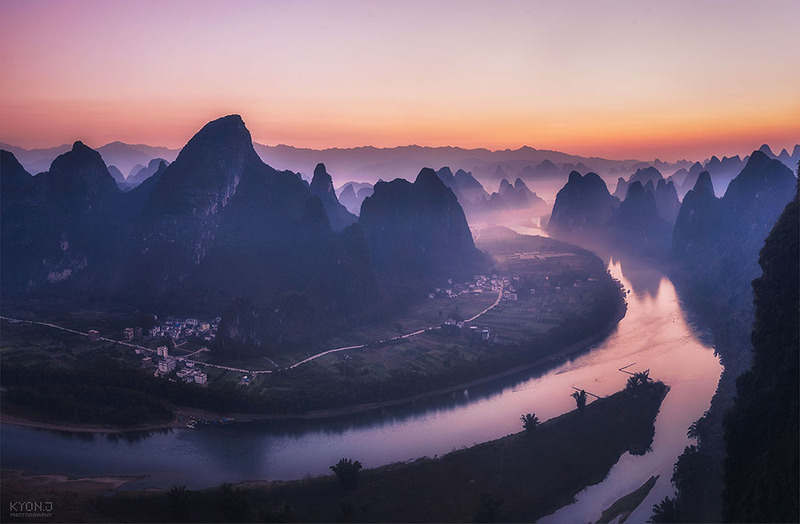 Perched high atop the city of Guilin, China, photographer Kyon.J had an extraordinary view of the Li River as it winds through an unusually steep mountainscape. Early in the morning the area is often filled with fog or haze trapped in the mountains, certainly a dream scenario for any landscape photographer. You can see more of Kyon.J’s work in her portfolio where she also shares equally impressive photos of her native Japan.